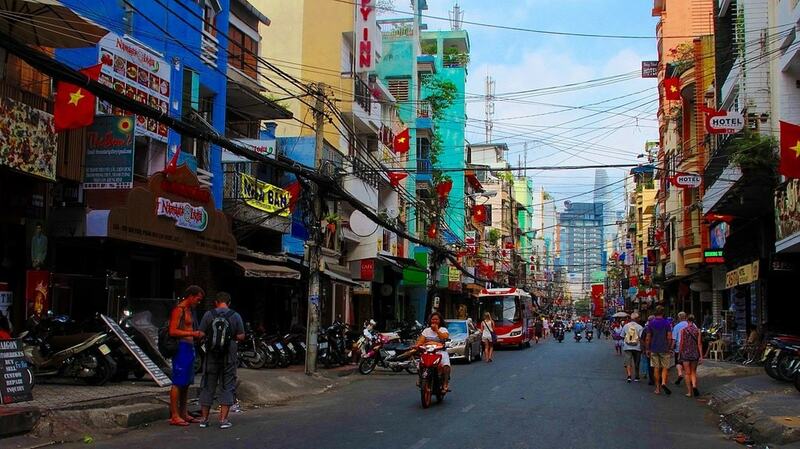 Downtown Saigon is an interesting mix of old world charm and fast-lane modernity. There are colonial era buildings right next to modern high rises, and it seems like half the city is under construction. Vietnam is changing quickly these days, and nowhere is it more obvious than in the chaotic streets of District 1. But, even as things change, the best things to see and do remain the same — and here they are. The Bitexco Tower is an unmistakable landmark, rising like a lotus flower out of the cement jungle near the Saigon River. The Skydeck is on the 49th floor — showcasing a 360 degree view of red tile roofs, smog and construction everywhere you look. After you’ve visited the Skydeck, head up another floor to EON51 for cocktails and more panorama views. The only way to get a true feel of the pace of life in Ho Chi Minh City is to ride a motorbike. You don’t necessarily have to rent one for yourself, though, because this city is a horrible place to learn. There are so many companies that offer great tour packages, with English speaking guides and professional drivers. Nothing matches the feeling of surging through heavy traffic with thousands of motorbikes, rolling by old French buildings and scenes of vibrant street life. Taxis are safer, but you lose the full sensual experience. 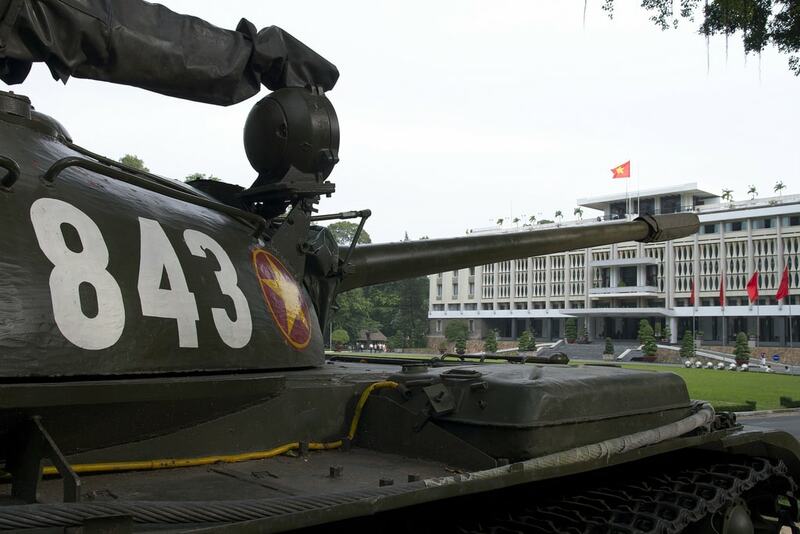 One of the most famous images of the Vietnam War — or the American War, as it’s known here — happened on April 30, 1975 when tanks barged through the front gates of the Independence Palace in old Saigon. Today, replicas of the tanks are on display out front. Inside the palace, you can see where the former presidents slept, entertained heads of state and even where they hid during bombing runs. The underground bunker is an eerie reminder of the paranoia that gripped Saigon back in those tumultuous years. After you’ve had a look at the Independence Palace, take a short stroll over to the Notre Dame Cathedral and the old Post Office. 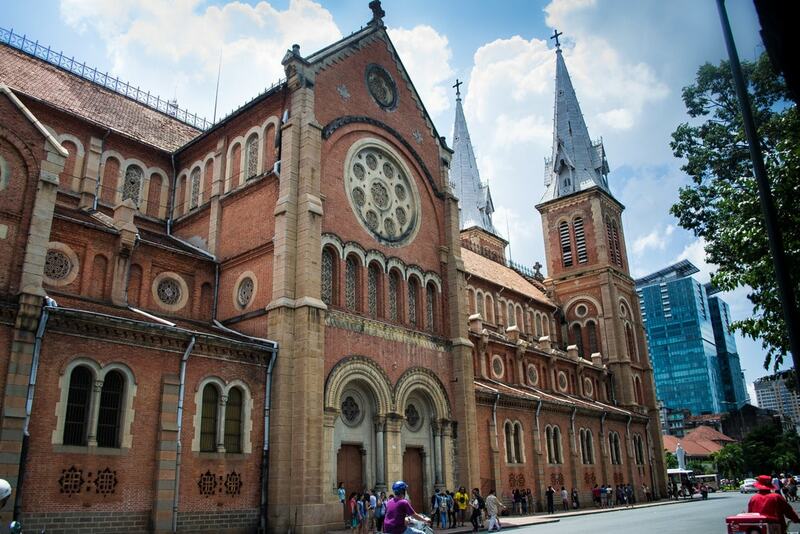 Both buildings are special landmarks, relics of the days when Saigon was the pearl of the orient. There are usually food carts and crowds of young Vietnamese hanging out with friends out front. It’s a great opportunity to chat with locals and learn more about their lives. It’s common for groups of friends to sit on the sidewalk and chat, and many of them are students who would love to practice their English with you. Bui Vien Street has undergone some major changes over the last few years, but it’s still a spectacular testament to human depravity and excessive hedonism. Read our guide here to learn more about the history of Bui Vien. To put it simply, it’s a drugged up red light district where backpackers get as wasted as possible. During peak tourist season, from November to March, every night is a wild scene of drunks, junkies, massage girls, gangsters and curious locals watching it all like it’s live human theater — which it is. If you’re planning a trip to Vietnam, make sure you leave some extra space in your luggage, because the tailors here are good and cheap. Whether you want a traditional Vietnamese áo dài, a Western-style suit or a dress for a special occasion, the tailors around District 1 can do it all — and they specialize in quick turnarounds for travelers. There are plenty of good tailors around District 1, but for quality and professionalism, head to Tuyen Fashion Tailor. 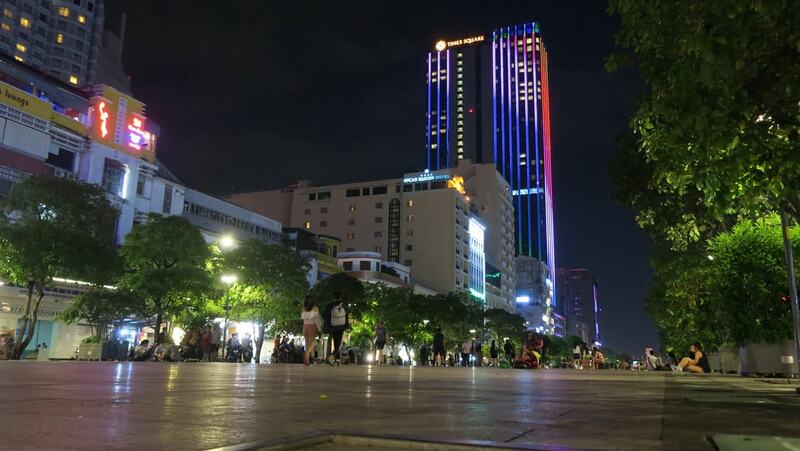 Nguyen Hue Street stretches from the colonial era Gia Long Palace all the way to the Saigon River, with the landmark Bitexco Tower looming high above. At night, thousands of people come to chat, snap selfies and play games on one of Vietnam’s only walking streets. 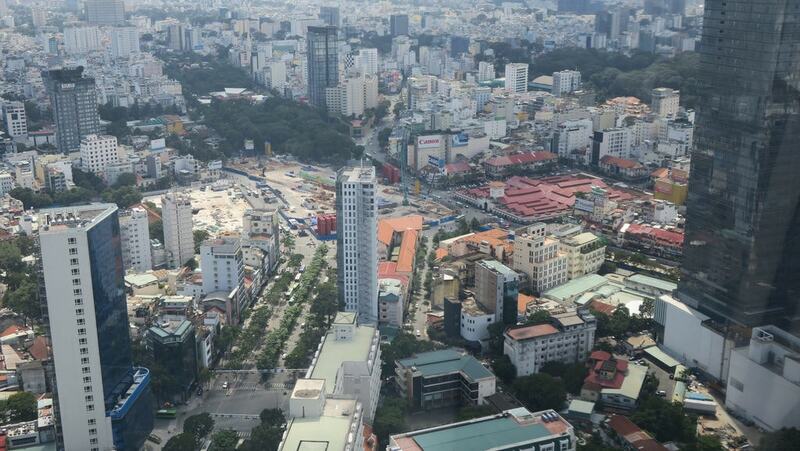 Opened in 2015, Nguyen Hue has since become a treasure in District 1, a singular victory for public good against the onslaught of commercialism. Ho Chi Minh City is nowhere near Hong Kong and other Asian mega cities in terms of impressive skylines, but it’s the rare tranquility on the Saigon River that makes a river cruise something special. On one side, you have the jungle pushing over the river banks, and on the other, the bright lights and tall buildings of a city of almost 10 million people. And, unlike the streets, there’s not much traffic on the river, so you can relax and sip on your drink of choice as you collect breathtaking pictures and memories. For the best, try Les Rives Authentic River Experience, Bonsai Cruise or Saigon Boat Company.